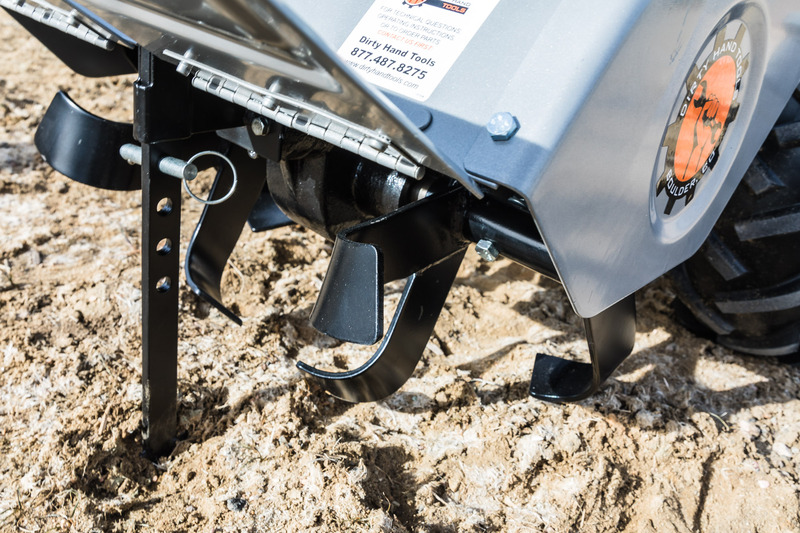 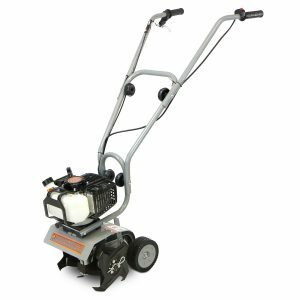 The Dirty Hand Tools Counter Rotating Rear Tine Tiller with Reverse features a 6.5 HP 196cc* Kohler SH265 EPA/CARB approved engine, 0.63 quarts (0.6 liters) engine oil capacity** and a 240 RPM tine speed. 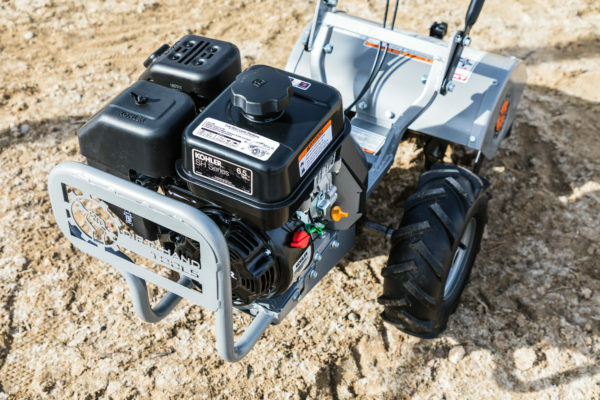 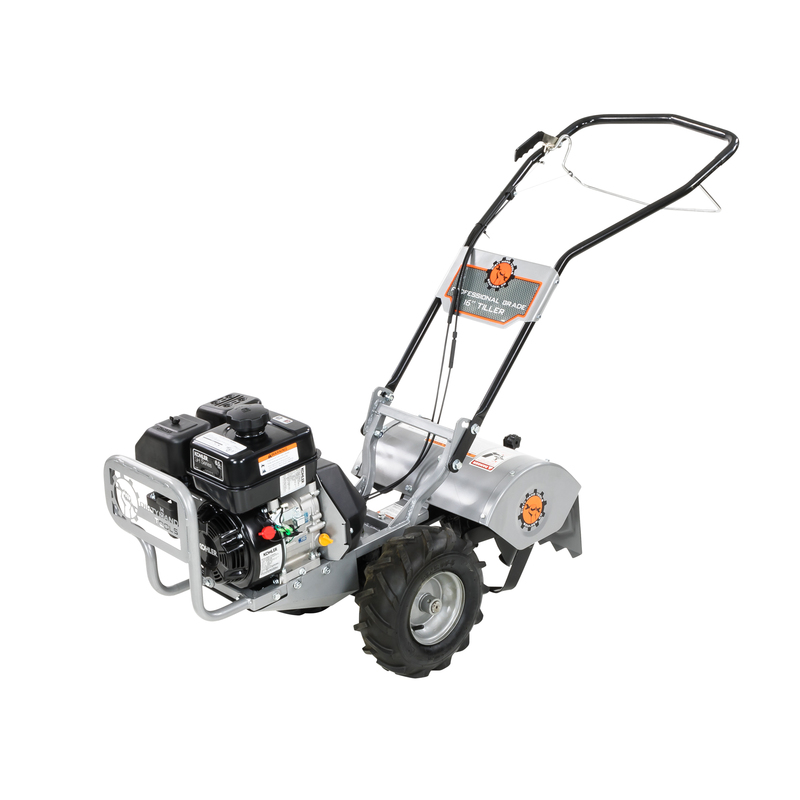 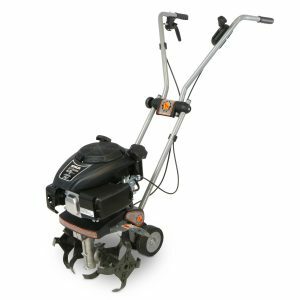 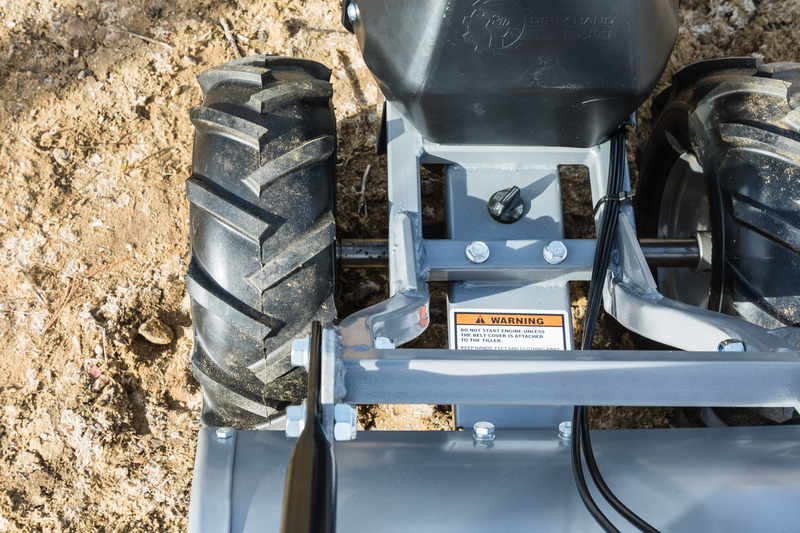 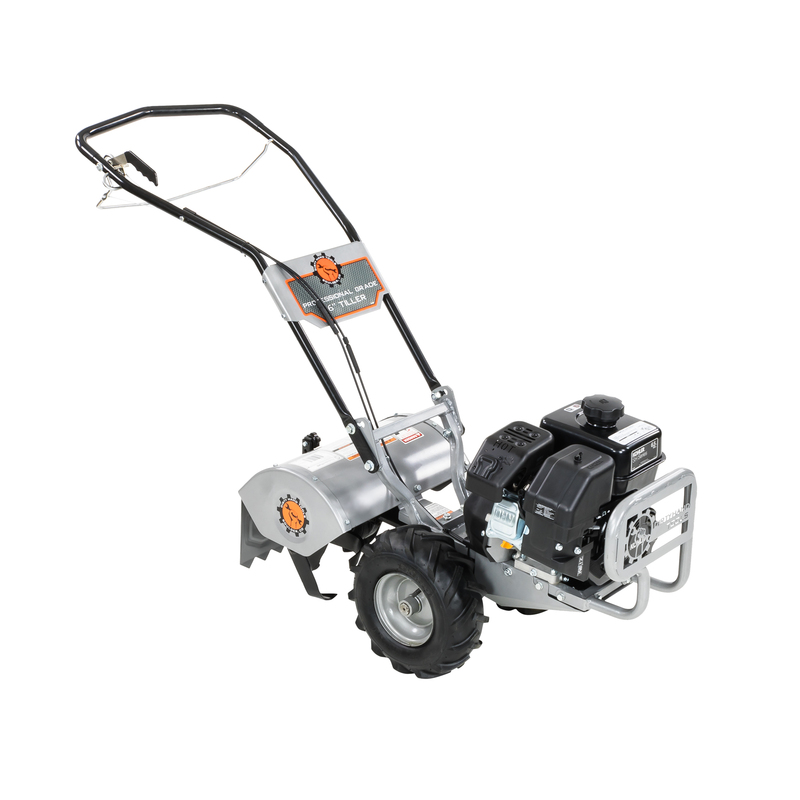 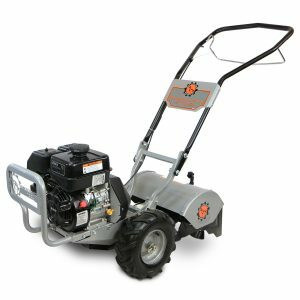 Has a neutral (disengaged), forward, and reverse transmission with a 16 inch tilling width, 10 inch tilling depth, 12 inch diameter tires with 20 psi recommended pressure. V-Belt, A25. 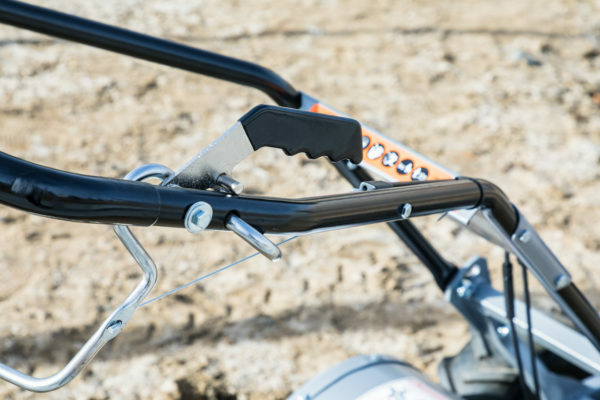 33″L x 19″W x 45″H (including handlebar).